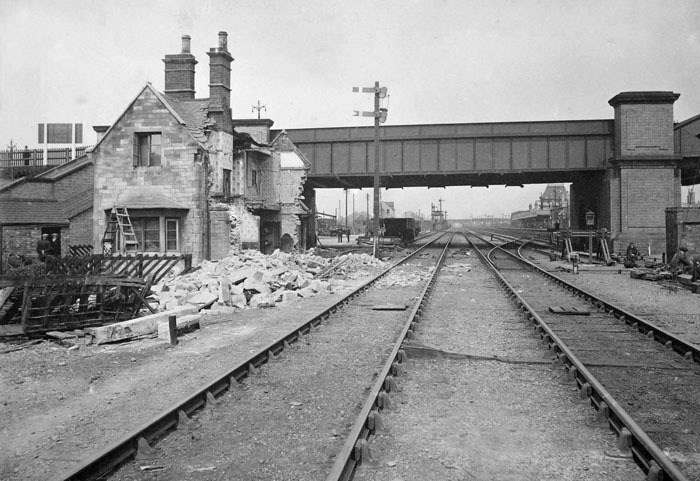 A quiet morning on Tuesday 15th August 1922, just 24 hours after a rail crash had part demolished this house. At 9:45am on the Monday, a runaway Midland and Great Northern Railway locomotive smashed into a brake van standing at the buffers and powered it and its own tender through the lineside house of railway controller Ernest Cole and family, coming to rest in the kitchen. Ernest’s invalid wife was asleep in an upstairs room. She crashed through the floor and landed in the debris below but escaped with cuts and bruises and, not surprisingly, suffered from shock.